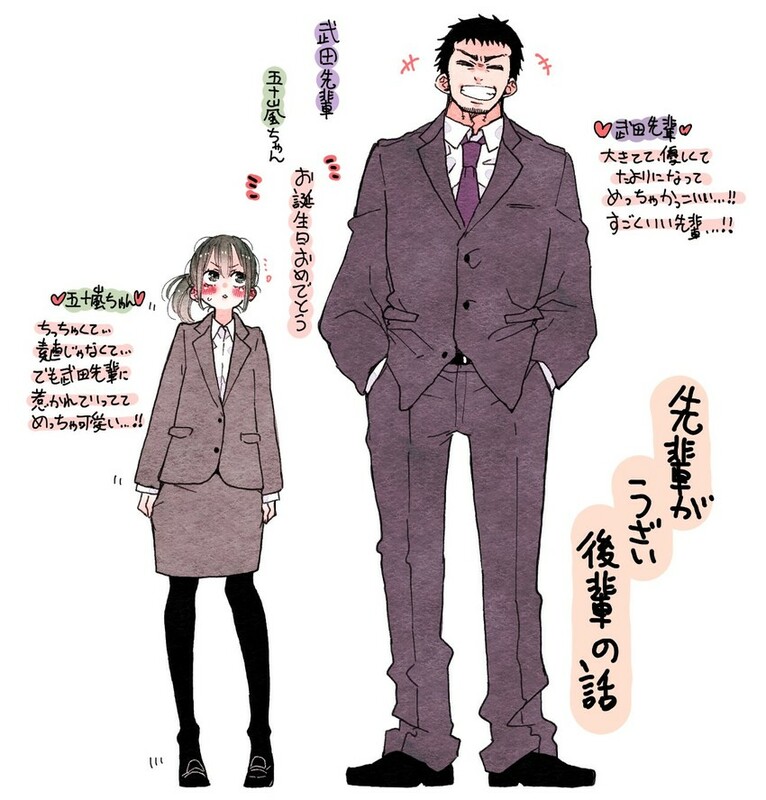 Takeda-senpai He's huge and he's gentle with her. He's super cool! An incredible senior!! Igarashi-chan She's tiny, she's not docile in the least... But when Takeda-senpai draws near she turns into a total cutie! !